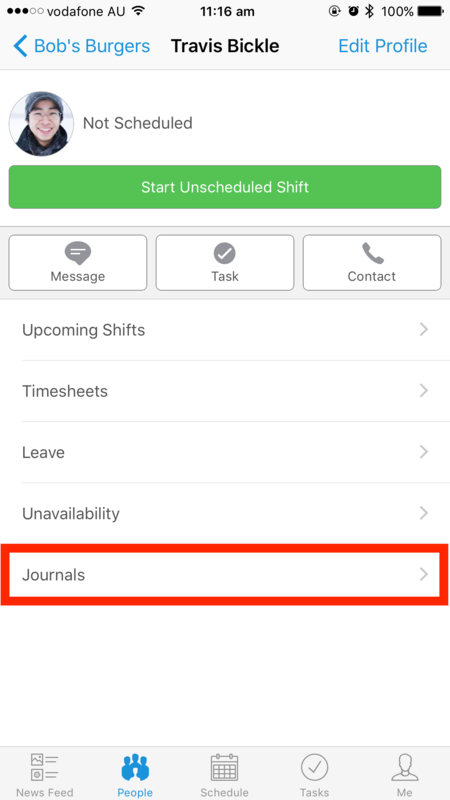 Journals allow you evaluate and add notes to an employee's shift after they end their shift. To journal an employee, you'll need to be either a Supervisor, Location Manager, or System Administrator. Your Organisation must also be either on trial or on a paid plan to Journal. Journaling allows you to record comments about your employees. The recording of an employee's performance can be useful in determining overall employee performance and can allow you to reward above standard performance or address below standard performance. Journals can be created and viewed by Supervisors, Location Managers and System Administrators, a regular employee has no access to them. Journals work via hierarchy, meaning that a System Administrator can journal anyone, a Location Manager can journal other Location Managers, Supervisors and Employees. A Supervisor may journal other Supervisors, and their employees. No one can ever see a journal written about them, even a System Administrator. CANNOT journal anyone and view the journals about themselves. CAN journal their co-supervisors and employees under them, under the same location. CANNOT view journals about their co-supervisors, in ANY locations. CANNOT view journals about themselves. CAN journal their co-LM and supervisors and employees, under the same location. CAN view journals about their co-LM, and journals about users with lower access, under the same location. CAN view journals about any other users. How Do I Journal Employees? Navigate to the 'Approve Time Sheets' action. Please select the employee from the list to the right, then select the timesheet you wish to journal on. You can find the journal section beneath your employee's worked hours. Please navigate to the People page. 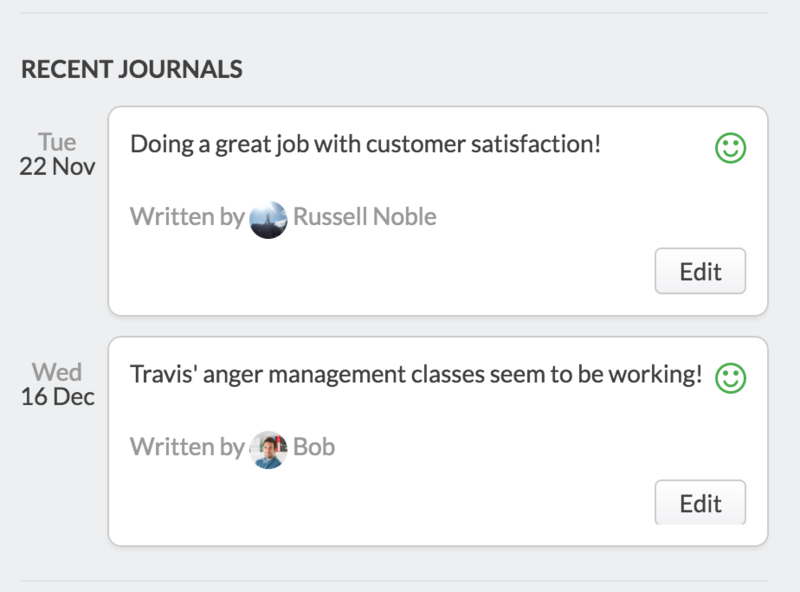 From there, please search for the employee you wish to journal on, then click "View" to the right of their name. Finally, please click "Write A Journal". 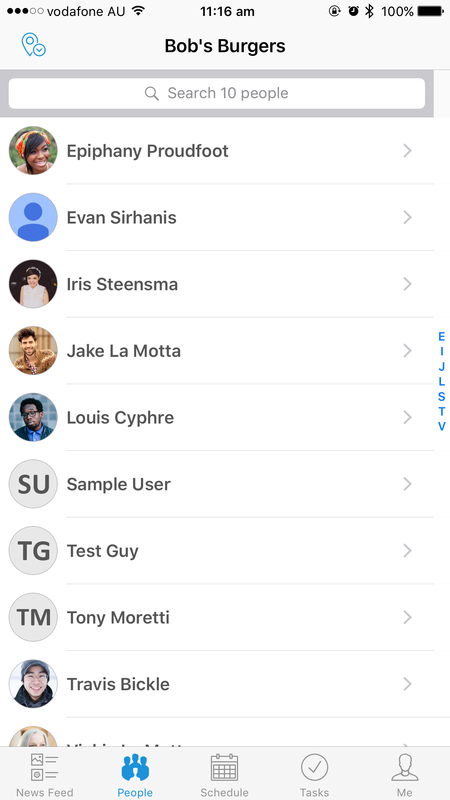 To journal an employee on the app, please select the "People" tab, which will display a list of employees. Please select the employee you wish to journal, which will bring up their profile. 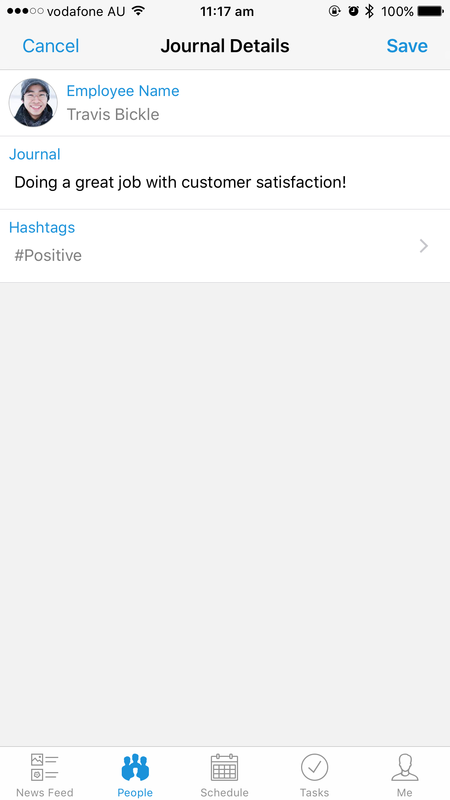 In the employee's profile, tap 'Journals' as seen below. This will take you to the Journals page, which will display a list of Journals on that employee. To add a new one, please click the "+" symbol in the top right corner. From here, you can enter the journal details, including any notes and a 'Hashtag', which will mark the entry as 'Positive' or 'Negative'. After you have finished the journal, you may either leave it as a neutral Journal, or you may tag it as positive or negative. Finally, please click "Add" in the top right corner. 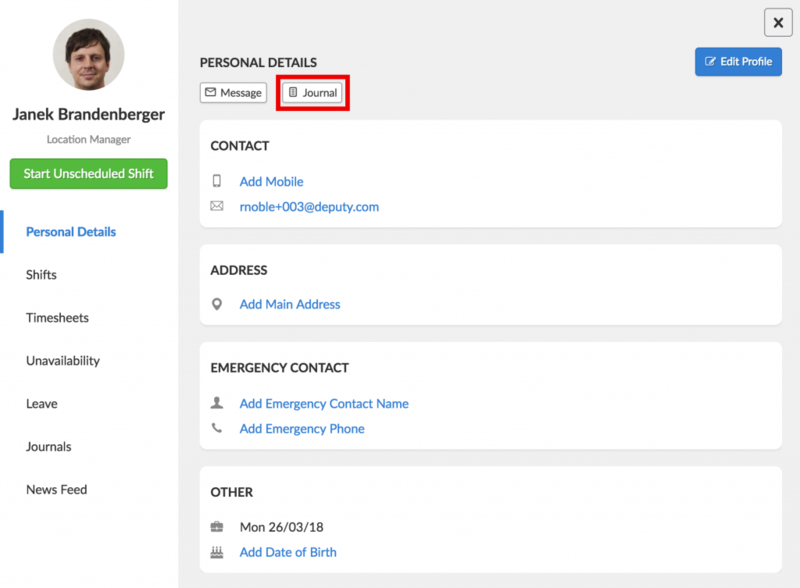 First, please search for your employee on the People page. Next, click "View" to the right of their name. Please scroll down to "Recent Journals", which will display the last three journals about that employee. To view all of the journals on an employee, please click "View All". 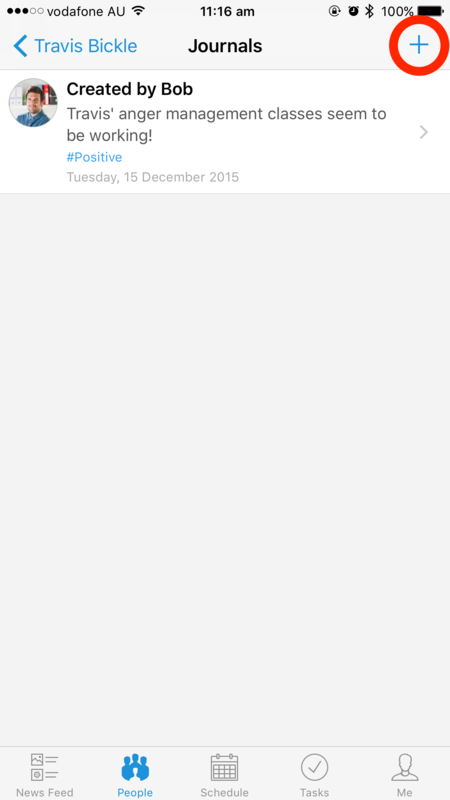 You may also navigate to your Reports by clicking "Reports" at the top of your screen. From there, you can run the Journal Usage Report. From the Report, you will be able to access all journals made across the organisation.